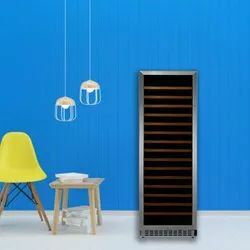 We at JET INDIA are Wine Cooler Suppliers of the Brand Brand White WestingHouse, USA. These are Specially Designed for Wine Lovers to Store their Favourite Wines at the Right Temperatures for Longer Periods. Available in different Bottle Storage Capacities – From a Small 20 Bottle Wine Cooler to a Large 171 Bottle Wine Cooler, We at White WestingHouse have the Entire range of Wine Coolers for All Applications – Personal as Well as Commercial. With Special Features like Electronic control with LED Display to Multi Layered Glass Door to Maintain Precise Temperatures inside, the White WestingHouse Wine Cooler is a State of the Art unit with Fabulous Looks and Aesthetics. White WestingHouse Wine Chillers are Amongst the top of the Line wine Chillers Available in India with Technology from White WestingHouse, USA. Its Modern Design with Appealing Aesthetics make WestingHouse Wine Chillers one of the Most Popular and Fast selling Wine Chillers in India. With Special Features like 3 layered Glass Door, Electronic control with LED and Automatic Defrost, The White WestingHouse Wine Chillers are Designed for Quality and Performance. White Westing House Mini Wine Cooler is Specially Designed for Wine Lovers to Store their Favourite Wines at the Right Temperatures for Longer Periods. Available in Smaller Sizes of 20 Bottles also, We at White Westing House have the Entire range of Wine Coolers for All Applications – Personal as Well as Commercial Wine Coolers . With Special Features like Electronic control with LED Display to Multi Layered Glass Door to Maintain Precise Temperatures inside, the White Westing House Wine Cooler is a State of the Art unit with Fabulous Looks and Aesthetics. White WestingHouse Wine Coolers also known as Wine Chiller Freezers is a Popular Product Across the World of the brand White Westinghouse, USA. WestingHouse Wine Chiller Freezers are Specially Designed for the Indian Tropical Climate Conditions to Ensure Exact and Precise Cooling of Wines Stored inside by maintaining Them at the Precise Temperatures at Which Wines are Supposed to be Stored at. For Eg. Red Wines Need to be Stored between 15 – 18 Deg Cent. White Westing House Wine Cooler is Specially Designed for Wine Lovers to Store their Favourite Wines at the Right Temperatures for Longer Periods. Available in different Bottle Storage Capacities – From a Small 20 Bottle Wine Cooler to a Large 171 Bottle Wine Cooler, We at White Westing House have the Entire range of Wine Coolers for All Applications – Personal as Well as Commercial. With Special Features like Electronic control with LED Display to Multi Layered Glass Door to Maintain Precise Temperatures inside, the White Westing House Wine Cooler is a State of the Art unit with Fabulous Looks and Aesthetics. White Westing House Wine Coolers also known as Wine Cabinets is a Popular Product Across the World of the brand White Westinghouse, USA. 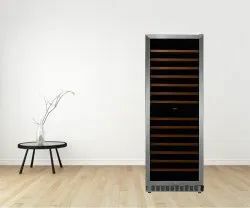 Westing House Wine Cabinets are Specially Designed for the Indian Tropical Climate Conditions to Ensure Exact and Precise Cooling of Wines Stored inside by maintaining Them at the Precise Temperatures at Which Wines are Supposed to be Stored at. For Eg. Red Wines Need to be Stored between 15 – 18 Deg Cent. The Cabinets are Constructed of Mild Steel which is Powder Coated to Prevent Corrosion of the Outer Cabinet. It Consists of a Multi Layer Glass Door so as to maintain the Precise Temperatures Inside. White WestingHouse Wine Coolers also known as Wine Cooler Cabinets is a Popular Product Across the World of the brand White Westinghouse, USA. WestingHouse Wine Cooler Cabinets are Specially Designed for the Indian Tropical Climate Conditions to Ensure Exact and Precise Cooling of Wines Stored inside by maintaining Them at the Precise Temperatures at Which Wines are Supposed to be Stored at. For Eg. Red Wines Need to be Stored between 15 – 18 Deg Cent. The Cabinets are Constructed of Mild Steel which is Powder Coated to Prevent Corrosion of the Outer Cabinet. It Consists of a Multi Layer Glass Door so as to maintain the Precise Temperatures Inside. 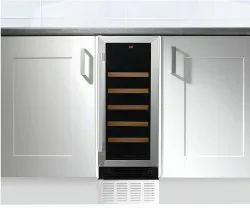 White WestingHouse Wine Coolers is a Popular Product Across the World of the brand White Westinghouse, USA, A company Which Understands Wine Storage very Well. WestingHouse Wine Coolers are Specially Designed for the Indian Tropical Climate Conditions to Ensure Exact and Precise Cooling of Wines Stored inside by maintaining Them at the Precise Temperatures at Which Wines are Supposed to be Stored at. For Eg. Red Wines Need to be Stored between 15 – 18 Deg Cent., White Wines between 9 – 14 Deg. Cent and Sparkling wines between 5 – 8 Deg Cent. White Westing House Wine Coolers also known as Alcohol Chillers are Amongst the top of the Line Wine / Alcohol Chillers Available in India with Technology from White Westing House, USA. Its Modern Design with Appealing Aesthetics make Westing House Wine Chillers one of the Most Popular and Fast selling Wine Chillers in India. With Special Features like 3 layered Glass Door, Electronic control with LED and Automatic Defrost, The White Westing House Wine Chillers are Designed for Quality and Performance. White Westing House Wine Coolers also known as Wine Freezers is a Popular Product Across the World of the brand White Westinghouse, USA. Westing House Wine Coolers are Specially Designed for the Indian Tropical Climate Conditions to Ensure Exact and Precise Cooling of Wines Stored inside by maintaining Them at the Precise Temperatures at Which Wines are Supposed to be Stored at. For Eg. Red Wines Need to be Stored between 15 – 18 Deg Cent. 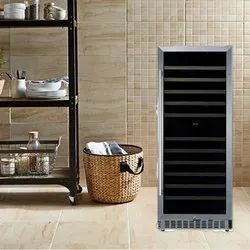 White Westing House Wine Coolers also called Wine Refrigerators are Amongst the top of the Line Wine Refrigerators Available in India with Technology from White Westing House, USA. 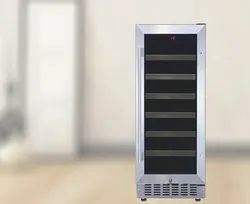 Its Modern Design with Appealing Aesthetics make Westing House Wine Refrigerators one of the Most Popular and Fast selling Wine Coolers in India. With Special Features like 3 layered Glass Door, Electronic control with LED and Automatic Defrost, The White Westing House Wine Refrigerators are Designed for Quality and Performance. White WestingHouse Wine Cooler Chillers are Amongst the top of the Line wine Chillers Available in India with Technology from White WestingHouse, USA. Its Modern Design with Appealing Aesthetics make WestingHouse Wine Cooler Chillers one of the Most Popular and Fast selling Wine Chillers in India. With Special Features like 3 layered Glass Door, Electronic control with LED and Automatic Defrost, The White WestingHouse Wine Cooler Chillers are Designed for Quality and Performance. 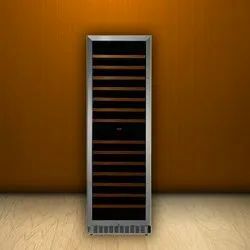 White Westing House Wine Cooler is a Popular Product Across the World of the brand White Westinghouse, USA. 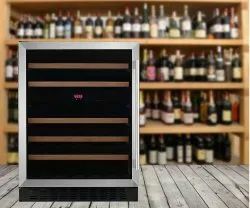 Westing House Wine Coolers are Specially Designed for the Indian Tropical Climate Conditions to Ensure Exact and Precise Cooling of Wines Stored inside by maintaining Them at the Precise Temperatures at Which Wines are Supposed to be Stored at. For Eg. 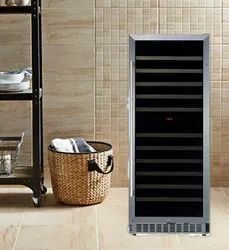 Red Wines Need to be Stored between 15 – 18 Deg Cent White Westinghouse Wine Coolers Available In Diffrent Bottle Storage Capacities. 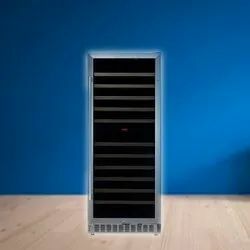 White WestingHouse Wine Coolers or Wine Cellars are Amongst the top of the Line Wine Cellars Available in India with Technology from White WestingHouse, USA. Its Modern Design with Appealing Aesthetics make WestingHouse Wine Cellars one of the Most Popular and Fast selling Wine Cellars in India. 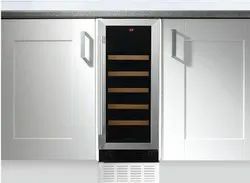 With Special Features like 3 layered Glass Door, Electronic control with LED and Automatic Defrost, The White WestingHouse Wine Cellars are Designed for Quality and Performance. 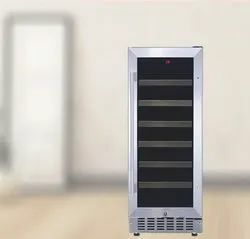 White Westing House Wine Coolers also known as Wine Fridge by some are Amongst the top of the Line Wine Refrigerators Available in India with Technology from White Westing House, USA. 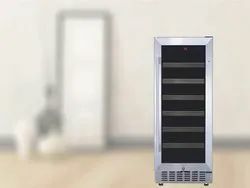 Its Modern Design with Appealing Aesthetics make Westing House Wine Refrigerators one of the Most Popular and Fast selling Wine Coolers in India. With Special Features like 3 layered Glass Door, Electronic control with LED and Automatic Defrost, The White Westing House Wine Refrigerators are Designed for Quality and Performance. White WestingHouse Wine Coolers also known as Stainless Steel Wine Coolers are Specially Designed for the Indian Tropical Climate Conditions to Ensure Exact and Precise Cooling of Wines Stored inside by maintaining Them at the Precise Temperatures at Which Wines are Supposed to be Stored at. For Eg. Red Wines Need to be Stored between 15 – 18 Deg Cent. The Cabinets are Constructed of Steel which is Powder Coated to Prevent Corrosion of the Outer Cabinet. It Consists of a Multi Layer Glass Door with a Stainless Steel Frame so as to maintain the Precise Temperatures Inside. White Westing House Wine Coolers is a Popular Product Across the World of the brand White Westinghouse, USA. Westing House Wine Coolers are Specially Designed for the Indian Tropical Climate Conditions to Ensure Exact and Precise Cooling of Wines Stored inside by maintaining Them at the Precise Temperatures at Which Wines are Supposed to be Stored at. For Eg. Red Wines Need to be Stored between 15 – 18 Deg Cent. White Westing House Wine Coolers also called Refrigerator Wine Coolers are Amongst the top of the Line Wine Refrigerators Available in India with Technology from White Westing House, USA. Its Modern Design with Appealing Aesthetics make Westing House Refrigerator wine Coolers one of the Most Popular and Fast selling Wine Coolers in India. With Special Features like 3 layered Glass Door, Electronic control with LED and Automatic Defrost, The White Westing House Refrigerator Wine Coolers are Designed for Quality and Performance. With more than 100 Years of Expertise and Existence across the world, White Westinghouse stands for Quality, Design and Performance we are making Wine Refrigerator. White Westing House Wine Coolers also known as Wine Refrigerator is a Popular Product Across the World of the brand White Westinghouse, USA. Westing House Wine Coolers are Specially Designed for the Indian Tropical Climate Conditions to Ensure Exact and Precise Cooling of Wines Stored inside by maintaining Them at the Precise Temperatures at Which Wines are Supposed to be Stored at. For Eg. Red Wines Need to be Stored between 15 – 18 Deg Cent. Looking for Wine Cooler ?